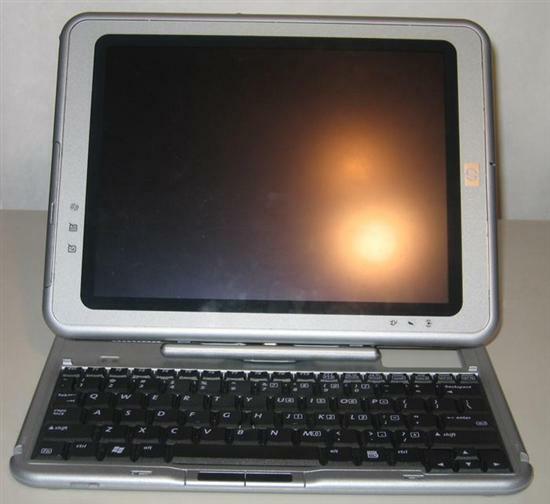 The HP tc1100 is a convertible tablet, meaning that there is a flip-away keyboard which allows you to use the computer as either a tablet or a conventional notebook. 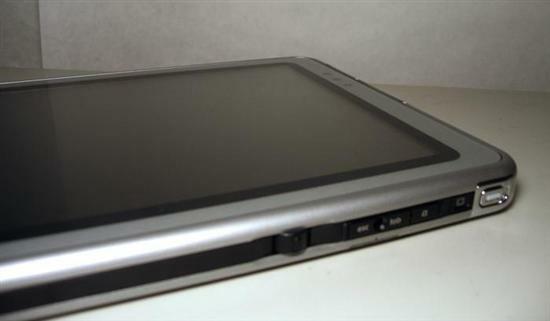 The HP is unique among tablets in that all of the “guts” of the computer are housed in the screen. The flip-around keyboard actually contains nothing but the keyboard. The advantage of this design is that the keyboard can be completely detached from the computer without sacrificing features (the keyboard is approximately 0.9 lbs). The disadvantage is that the screen is heavier than the keyboard, making the notebook a bit top-heavy. The unique design of the tc1100 makes it perfect for a class of scenarios that other tablets are not eligible for. Suppose that you need to attend a meeting and will not need a keyboard. Simply detach and go. When the meeting is over, re-attach and get back to work. The main unit of the tablet (i.e. the screen) is very rigid and will not flex, meaning that you can carry it with confidence – and even get some work done on the way to said meeting, if you so desire. Now of course, you do not need to detach the keyboard – and, in fact – the keyboard is quite light and thin. Although you certainly do not need to detach the keyboard, the psychological advantage of “losing,” this extra weight and thickness is “freeing” and complements the overall versatility of the tablet quite well. 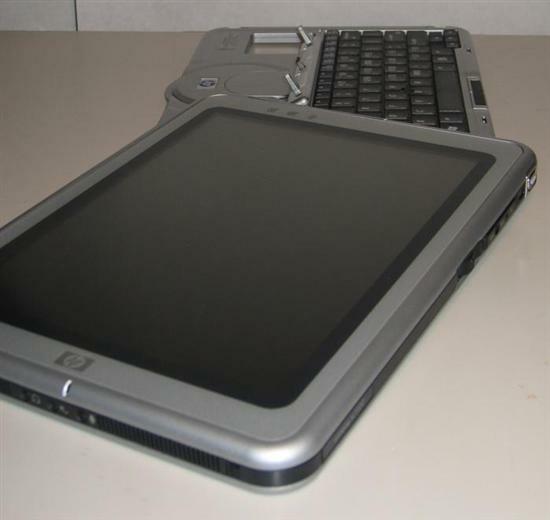 For instance, with the keyboard detached, the tablet is about the size of the average paper notebook. A common problem among tablets is the screen quality. An owner of a tablet I know complained that he paid over $2000 for a notebook with a screen “that looks as though it were dipped in polyurethane.” I was pleased to note that the tc1100 sports a bright, vivid screen that suffers from none of these frequent problems. In addition, the glass (yes, the screen is actually covered with tempered glass, not plastic) separating the surface of the LCD and the outside world is very hard and mildly scratch resistant, meaning that you can write with confidence. The resolution, on the other hand is 1024x768 – a bit low by today’s standards. Many power users considering tablets dismiss any units with an XGA resolution. This is a serious mistake, however, as we will see later that a high resolution will make it very difficult to navigate by pen. Therefore, if you are looking for a desktop replacement in the tc1100 you will be disappointed. However, the tc1100 – as we will see – is really designed to be a strong supplement to a desktop rather than a supplement. The overall placement of the buttons on the tablet is solid, with one exception. The tablet lacks discrete sound volume – and even more importantly, mute – buttons. This can be disastrous in environments such as meetings (or perhaps a class); suddenly someone sends you a string of instant messages, a warning message sounds, etc. To mute the tablet, you must press the Q button, which then opens a software menu on which you must press the software “Mute” button. My advice: mute the tablet before you go to the meeting.